Home What's this all about? As seen on TV... Buy the book now! 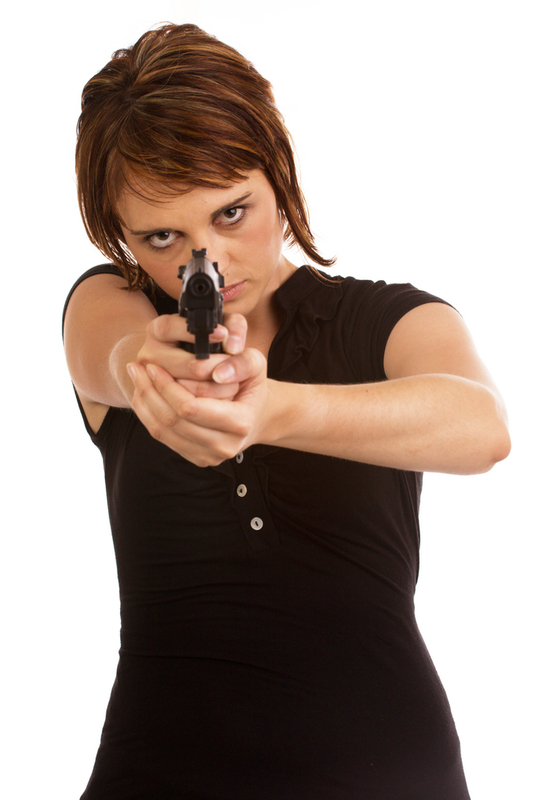 What happens to you and your family if you have to defend yourself? Do you have money to pay for Attorney's Fees? What happens if you get sued...do you have insurance coverage? If you are like most gun owners you have NO IDEA where to look for insurance protection or even what products and programs are available to you...until now! 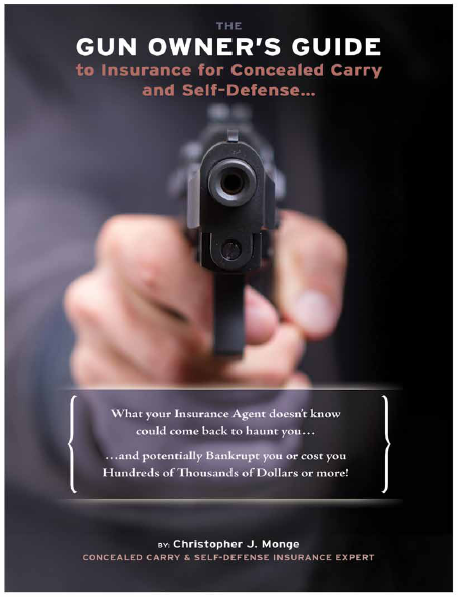 Chris Monge the nations Leading Expert on Concealed Carry and Self-Defense insurance has written the "The Gun Owners Guide to Concealed Carry & Self Defense Insurance" and you can get your own E-Book copy right here. ​Get your copy of "The Gun Owners Guide to Concealed Carry & Self-Defense Insurance" and learn how you can protect yourself against legal fees and civil suits if you are involved in a Self-Defense shooting! Click HERE to buy the E-Book now! Think about this for a second...if you carry a weapon what would your reaction be if your life was threatened? Would you pull your gun? Would you shoot? Do you have have Thousands to Hundreds of Thousands of Dollars or more to pay for attorneys and a damages? It's always better to have insurance and not need it than to need it and not have it! For the cost of about a cup of coffee per day you can have protection against the legal system and civil suits...buy the book and learn what your options are today! Click HERE to buy the PAPERBACK now!